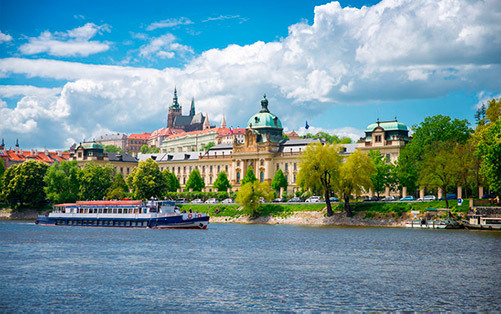 Travel by private taxi, van, minibus or bus from Prague to Dresden. 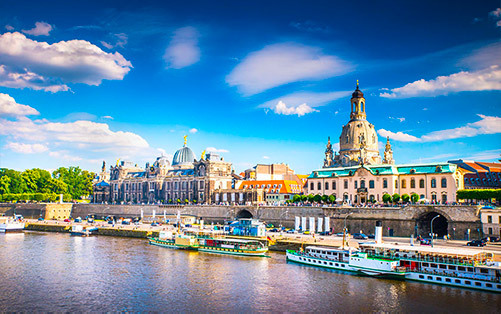 Dresden is the capital city and the second-largest city of the Free State of Saxony in Germany. It is situated in a valley on the River Elbe, near the border with the Czech Republic. Dresden has a long history as the capital and royal residence for the Electors and Kings of Saxony, who for centuries furnished the city with cultural and artistic splendor, and was once by personal union the family seat of Polish monarchs. The city was known as the Jewel Box, because of its baroque and rococo city centre. The controversial American and British bombing of Dresden in World War II towards the end of the war killed approximately 100,000 people, many of whom were civilians, and destroyed the entire city centre. Since German reunification in 1990 Dresden is again a cultural, educational and political centre of Germany and Europe.